Each year, DOVIA Tarrant County hosts the Professional Development Workshop (PDW) to educate volunteer management professionals in our area. Organized and coordinated by DOVIA members, this workshop is tailored to address local needs and trends in volunteer management . 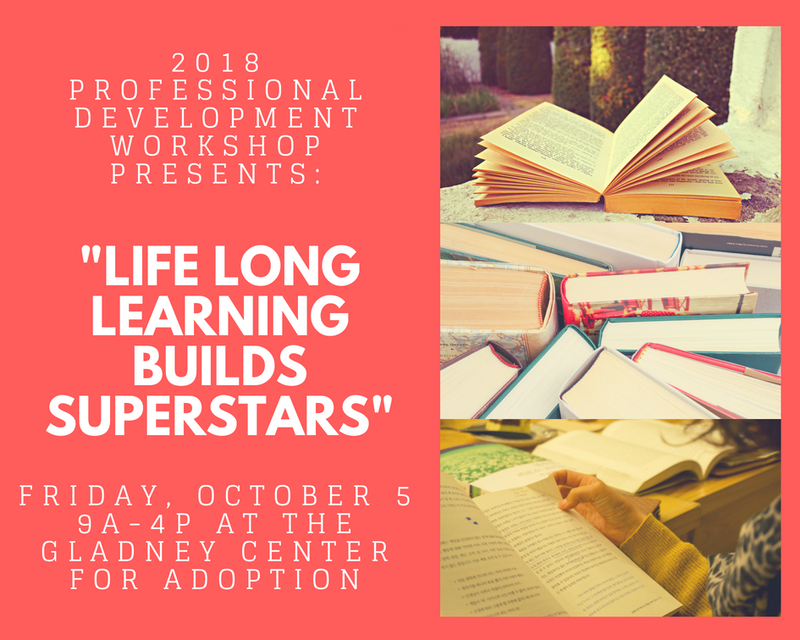 This year the PDW will be on October 5, 2018 at the Gladney Center for Adoption from 9:00am to 4:00pm. This years theme will be "Life Long Learning Builds Superstars". We will have break-out sessions for you to attend with fabulous speakers, Karen Reid, founder and principal of Kaber Communications and Dr. Stevie Dawn, CEO of Orange Compass. As well as a keynote address by Robert Early, President and CEO of JPS Health Network. Breakfast and lunch provided. Breakfast will be breakfast tacos and fruit. Lunch will be pasta (gluten free pasta option as well), salad, rolls. Drinks are included. A networking social will be held at the conclusion of the workshop at 4pm. Be sure to bring your business cards. She has worked as an attorney in the field of adoption for more than 28 years. She is a member of the Academy of Adoption & Assisted Reproduction Attorneys. She serves as Vice Chair of the board of the National Council for Adoption, and she is on the inaugural board of the Texas Bar Association Child Protection Section. As a child advocate, Heidi is active in educating other professionals and the public, and promoting legislative initiatives to protect children and support positive adoption practices. She has traveled to Mexico, Guatemala, Costa Rica, Rwanda, and Ethiopia, working on adoption issues. Heidi previously served as a gubernatorial appointee to the Texas Adoption Review Committee which examined the child welfare system, seeking solutions to remove barriers to adoption for children in foster care. Heidi previously served on the board of the Texas Family Law Council as well as the Texas Alliance for Child and Family Services, and was inducted into the National Council for Adoption Hall of Fame. Robert Earley’s journey from South Texas to CEO of Tarrant County’s public supported healthcare system was anything but a straight line. A political science graduate from the University of North Texas, Earley put that degree to use as a staff assistant to a Texas congressman in our nation’s capital. His D.C. experience sparked his own political aspirations and Earley returned to Texas to run for a seat in the Texas House of Representatives. He was only 23 when elected in 1984 to represent his South Texas hometown. He served 10 years before choosing not to seek re-election in 1995. Before joining JPS Health Network in 2005 as a senior VP focused on community and government affairs, Earley taught college courses, ran an Austin-based public affairs firm and served as an on-air political analyst for NBC’s affiliate station in Austin. The Tarrant County Hospital District Board of Managers appointed him interim president and CEO in May 2008 and in February 2009 he was named president and CEO. Earley holds a master’s degree in healthcare administration from the University of Texas-Arlington. He serves on the board of the Meadows Mental Health Policy Institute.